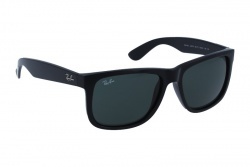 Ray-Ban brand name means “banning the sun rays from the eyes” (Ray Banner). This brand is one of the most popular in the world, never fading out of style and it is considered the leading manufacturer of sunglasses. Ray-Ban is known for its unique and timeless style, now presents Justin, a fun and fresh sunglasses models. 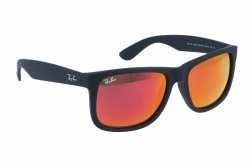 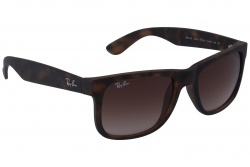 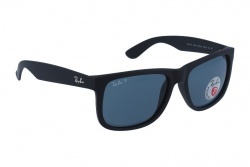 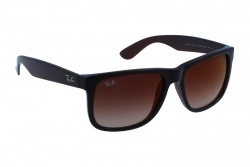 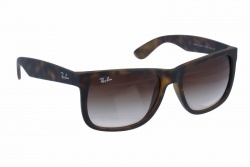 Ray-Ban Justin sunglasses may just be one of the coolest looks in the Ray-Ban collection. Everyone can used them with an elegant suit or with a more sportive look. Inspired by the iconic Wayfarer sunglasses, this style has been redesigned with slightly larger rectangle lenses, fresh new frames colours, stunning coloured lenses and a rubberized frame finish to really give it that extra edge. 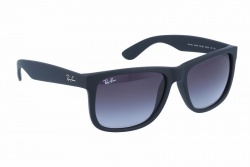 Justin RB4165 come in traditional frame colours such as black, grey, brown and tortoise, as well as some total statement-making colours such as red, violet, blue, fuchsia, turquoise and matte blue. Add some edge to your style with these durable and unmistakable, iconic sunglasses.